As fans — wearing shirts sporting the famous tongue and carrying $8 beers — filled the ‘Shoe on Saturday night for the Rolling Stones’ Zip Code tour, they would frequently stop themselves midway up the deck to catch their breath. But the journey was worth it. Because it was the Rolling Stones. 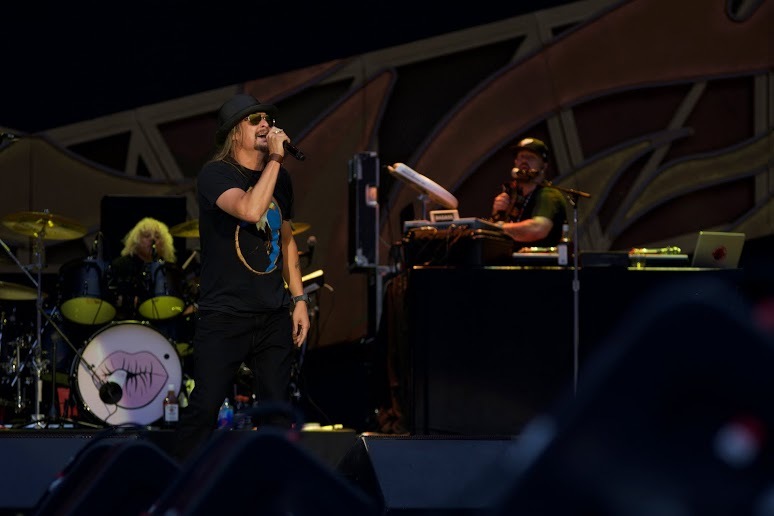 Opener Kid Rock took the stage nearly two hours after doors opened — which left plenty of time for people watching and hoping the dark clouds didn’t open up into a downpour. 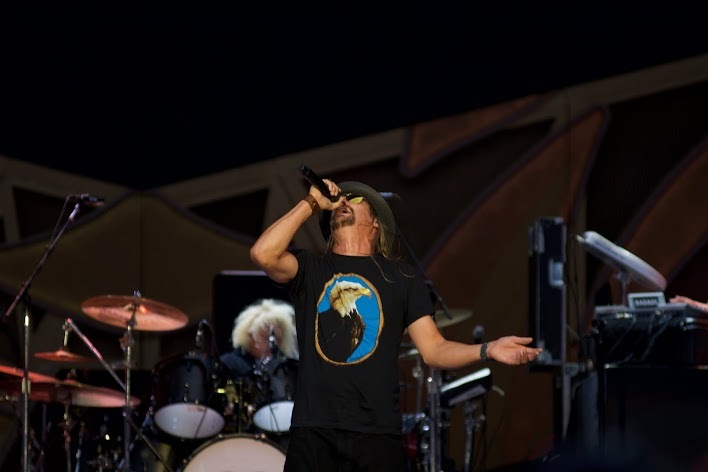 The intro of Journey’s “Don’t Stop Believing” introduced Kid Rock to the stage. The song stopped right after “Born and raised in,” allowing the stadium to welcome Kid Rock by singing the name of his hometown. Kid Rock loves Detroit like we love Ohio State. Kid Rock looked like a tiny jumping bean on stage. He jumped around and up and down, dominating the stage like rock ‘n’ roll was his name. Many fans were far more interested in their phones though. They were taking selfies, posing for photos with the stage in the background (you know, the stage on which a concert was currently happening), discussing who left comments on said photos and how they really need a selfie stick. It seemed like this wasn’t a concert to experience. 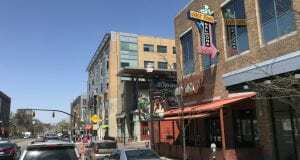 It was a concert to tell others you experienced. The audience was fully engrossed, however, when “The Star Spangled Banner” was played on saxophone and Kid Rock welcomed Rob O’Neill, the Navy SEAL who reportedly shot and killed Osama bin Laden, to the stage. 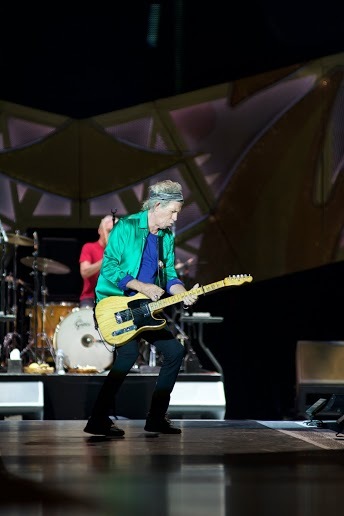 After the last note of the 2008 hit “All Summer Long” played, all there was left to do was wait for the Stones. The legends came out in flashy outfits to roaring cheers and phone cameras flashing. 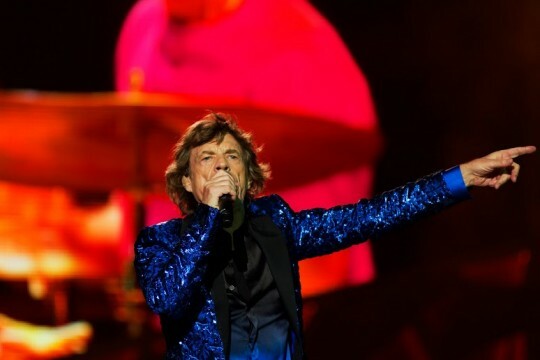 Mick Jagger worked the stage — running, jumping and shaking his hips like we were back in the ‘60s. But the Stones were also well aware of where they were. 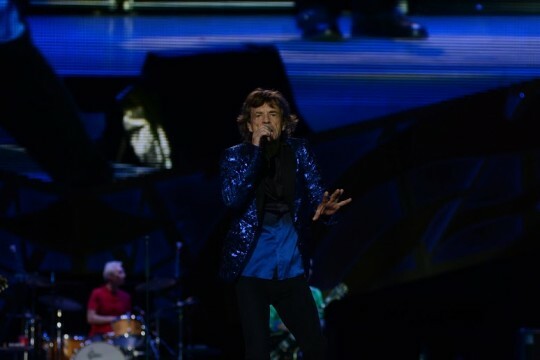 “This is the stadium of champions, isn’t it?” Jagger asked the audience — which responded with enthusiasm as fresh as it was in January. I’m not usually a fan of doing “O-H-I-O,” but when prompted by Mick Jagger, I’ll make an exception. Jagger isn’t the only star of the Rolling Stones though. 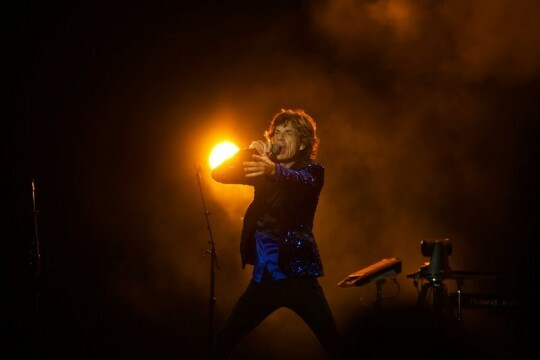 Midway through the set, Jagger introduced the other band members — ones behind the scenes and ones that have been front and center for decades. Jagger rejoined the group for “Midnight Rambler,” where he rolled and rambled his hips — proving he still has the moves. The Stones played one hit after another, their songs allowing time for guitar and drum solos that showed off their mastery that makes them legends in rock ‘n’ roll history. Unfortunately though, when you’re seated five rows from the back in an open air stadium, sound quality gets a little garbled from time to time. 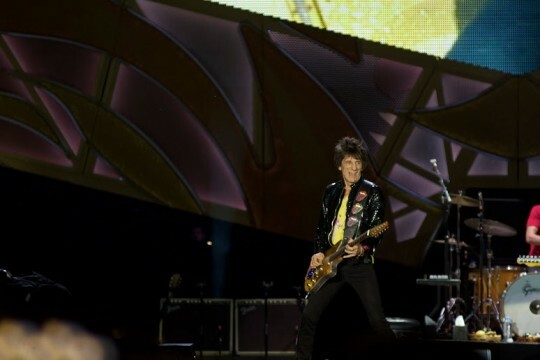 Their mega hit, “(I Can’t Get No) Satisfaction,” closed out the night in an explosive fashion. When descending the 68 steps down to just the C deck after it was all over, there was that sense again that it — the lines, the rain, the sound quality, the constant dodging of being in the background of a selfie — was all worth it. 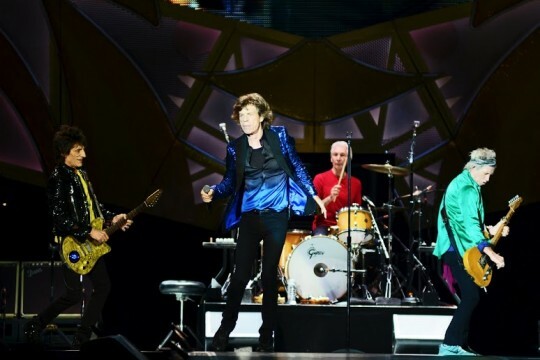 Because it was the Rolling Stones. The Stones are not from Liverpool. They are from London. The Beatles are from Liverpool and played the Cavern Club, not the Stones. Also, you mentioned drum solos. Charlie Watts doesn’t play any drum solos. Were you really at the concert? 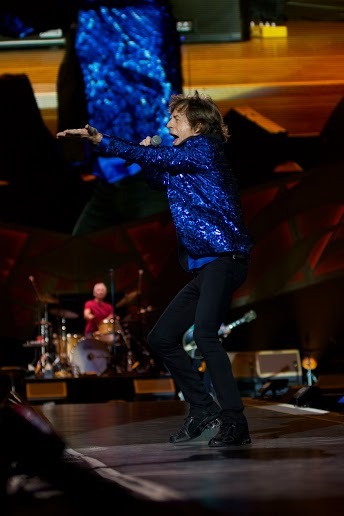 Who said, “I’m not usually a fan of doing “O-H-I-O,” but when prompted by Mick Jagger, I’ll make an exception”?